Your Source for Magnolia Home by Joanna Gaines and So Much More! Mayo's Furniture & Floor is proud to be the only Magnolia Home dealer in Vermont. We carry the full line of Magnolia Home Furniture as well as Joanna's entire line of pillows, throws and fabulous rugs. Mayo's has been in business for more than 50 years and has a reputation for stylish furnishings and decor for your home, affordable prices, friendly service & free delivery. We are proud to have won the Best in the Kingdom Award for Best Home Decor in 2017. Come and shop 3 floors of showrooms stocked with fabulous furnishings, in our historic old mill building. Mayo's features furniture for every room in your home. 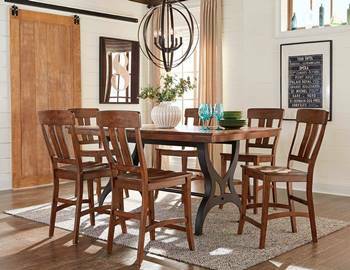 Brand names you'll know include Bassett HGTV Design Studio, Magnolia Home furniture from Joanna Gaines, Vaughan-Bassett Made in America furniture & colorful rugs from Company C... plus so much more! Mayo's is the mattress expert! The America's Mattress Gallery at Mayo's Furniture sells only Serta ... the #1 mattress company in the world! Whether you are looking for an iSeries, iComfort, Memory Foam, Perfect Sleeper or Euro Top Mattress, we invite you to come in and see which model is right for you. Plus, you'll love the new motion bases that will transform your sleeping experience. Mayo's offers a full-service flooring department and is a proud member of "The Flooring Network." Among our vast selection, you'll find carpet, hardwood, ceramic tile, natural stone, cork, bamboo and so much more! 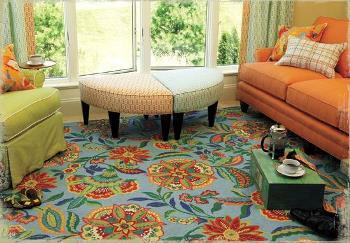 Are you looking for environmentally friendly flooring.... Mayo's has it! And when it comes to installation, the Mayo's team is the best in the area! We'd love to help you find even more ways to add to your home's value with kitchen tile back splashes or custom tile showers. For more than 60 years, Hunter Douglas, the leading manufacturer of custom-made window fashions, has been making a big difference in homes across America. Whatever your window treatment needs are - sheers, drapes, shades, honeycombs, blinds and shutters - Mayo's has what you need. No need to ever measure your windows! Our window coverinigs are all custom fitted, and Mayo's will come to your home to measure and professionally install them for free. Looking for something specific? Anything you find online, Mayo's will try to find for you, and Mayo's will also deliver and set up your orders for free within a 50-mile radius of St. Johnsbury. Mayo’s. Everything for your home. Delivered!